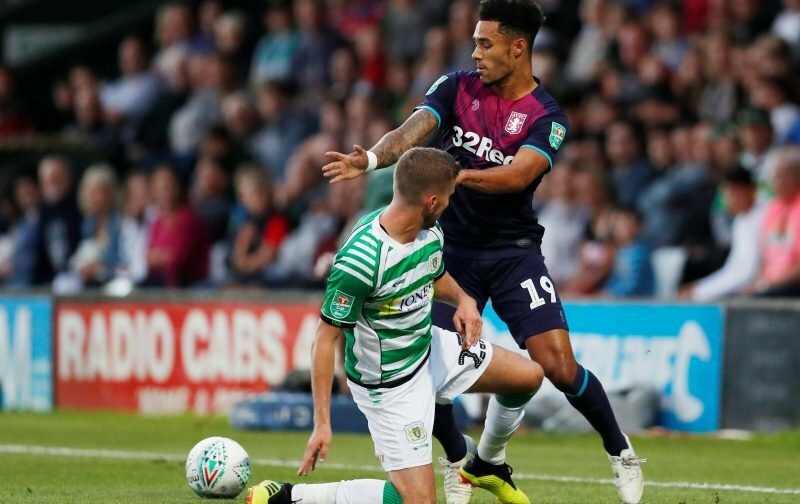 As we crashed out of the FA Cup for the campaign of 2018/19 in rather limp fashion at the hands of Swansea City at the weekend, young winger Andre Green send loan club Portsmouth through to the fourth round hat with a late winner against Norwich City. With goals seemingly hard to come by if you discount Tammy Abraham (and all that ongoing speculation) fans are also torn when it comes to the productivity of our wide players and given his most recent performance, plenty feel the time would now be right for head coach Dean Smith to recall the 20-year-old talent and give him another shot at impressing in our first team. Given he’s just begun getting himself back to speed at Portsmouth after injury and started to show what he’s capable of, I’m not sure I’m on board with that myself, but I can understand the suggestion as although his deal is a season loan, this month is the time to break it – but again, I don’t think we will given his recent time on the sidelines. Green was only at the club for 20 odd days before he underwent knee surgery to remove a cyst that he claimed, in a deleted Tweet, had held him back all year and Kenny Jackett is already on record as saying he was completely unaware of that – and it didn’t show up apparently on the medical – so it was quite curious. But since returning to action in September the games are now coming as are the goals – but the bulk of his appearances have been as a substitute.